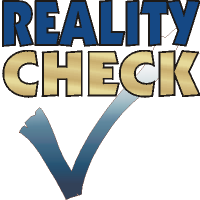 Reality Check | Behaviour: To Your Choices! Reality Check: What you see is…what you look for? Last post, my focus was, “What you see is what you get.” This time, I’m looking at the connection between what we look for and what we see. You’ve almost certainly experienced this connection. For example, if you walk a beach searching for sea glass, you often see it. If you have no interest in sea glass, you could walk beaches for miles and never know that sea glass even exists. Posted in Choosing Perspective	| Tagged choosing thoughts, gratitude, perception	| Comments Off on Reality Check: What you see is…what you look for? WYSIWYG, pronounced “whizzywig,” means, “What you see is what you get.” I know the phrase from the olden days of computers—back when it was a big deal to have the display on the screen actually reflect what was printed. Computer technology has come a long way. There’s a positive to that, of course. People get to know you and trust that there’s no contradictory backstory. Reality Check: Strength or Weakness? Every one of us has specific strengths. If you like to learn about yourself, then it can be quite satisfying to figure out your individual strengths and how to best use them to reach your goals. Strengths are generally positive attributes; qualities that we take pride in. If you take a few minutes now to make a list of your strengths, what would you find? Posted in Develop Understanding	| Tagged fairness, improving relationships, perception, self-evaluation	| Comments Off on Reality Check: Strength or Weakness? Do you find it difficult to talk about things that are really important? Reality Check: What makes a difference? Often, that wish is connected to helping others—to direct one’s energies toward something longer-lasting and bigger than oneself. That’s all reasonable. An altruistic purpose can be satisfying for the individual and it might even be helpful for society. Posted in Satisfaction	| Tagged choosing actions, helpful, need satisfaction, persistence	| Comments Off on Reality Check: What makes a difference? We might take the building of relationships for granted. Relationships just happen—we meet someone; we hit it off for whatever reason, and we have a relationship! To be clear, I’m not referring to romantic relationships here. I’m talking about the folks at work, in your community, or even at the dog park. They are just people with whom you share some aspects of your life. Have you ever thought of deliberately building such a relationship? Consider this possibility. Ray loved his job. But the company changed and he was offered a choice: take a different job or retire. When doing an important task, it works best if you concentrate fully on that one task while you are doing it. For example, you and I both know better than to text while driving. Driving is an important task, and it deserves concentration. So when we’re driving, it’s also helpful if we choose to refrain from fiddling with the radio, fixing our hair, or gazing dreamily at the ocean. Just because we know that something is helpful doesn’t mean that we always do it, though, does it? Driving isn’t the only important task that some of us try to perform while devoting less than our full attention. Consider the practice of “listening while mind-reading.” Listening may not seem to demand the same level of attention as driving, but failure to listen could still be quite destructive, couldn’t it? Do you detect that there’s a lot of criticism in your life? If so, how does it feel to be criticized? Are you grateful to have the errors of your ways pointed out to you? Or not so much? When you are criticized, do you feel closer to the person who is criticizing you, or do you feel more disconnected from them? Does criticism motivate you to spend more time with the critic? Or less? For a little over a year, I’ve had an orchid sitting on my table. It’s a tiny plant in a tiny purple pot. When it was given to me, it was in full bloom. The blooms lasted for what seemed like an extraordinarily long time, despite almost no care from me. It was amazing. Eventually, the blooms fell off, the stem withered, and the blooming was over. Does happiness benefit happy people? Or is it the benefits that happy people have that cause their happiness? It’s the happiness version of the chicken and egg question; which comes first: the happiness or the benefits?